I have regular highlights and heat style my hair probably more than I should (did someone say blow dry? ), so from time to time it's gets a bit damaged and dry. That on top of city life and all the pollution that comes with the it, fickle weather and things like excessive heat or air conditioning means that moisturizing my locks is a downright necessity. While I always condition my hair, I find a little something extra really helps to keep it in shape so I use hair masks on a regular basis. 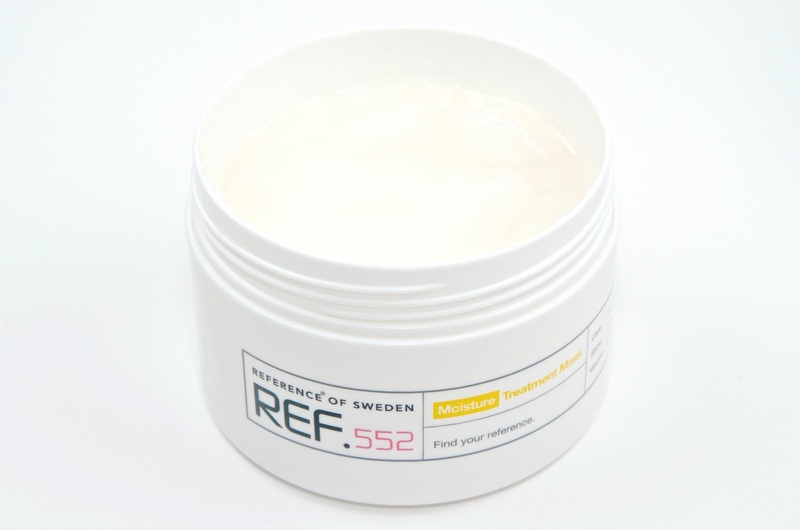 My new favorite hair mask is the REF.552 Moisture Treatment Mask by Reference of Sweden. Suitable for all hair types, REF.552 smells deliciously coconuty and leaves my hair feeling renewed. It's made with macadamia seed oil, coconut, birch leaf, argan oil, tamanu oil, black currant, linseed oil, keratin, collagen, lingonberry and it's rich in nutrients, antioxidants and vitamins. Safe for color treated hair, this gorgeous mask is sulfate and paraben free. REF.552 moisturizes the hair shaft and aims to replenish what is lost to heat styling and other environmental factors that often leave my locks in pretty rough shape. In other words, it's like a trip to the spa for your hair. It can be used 2 to 3 times per week and you simply apply it and leave it in for 5 minutes after washing. For a more intense treatment, REF.552 can be left on overnight. Personally, I'm in love! This is everything I want from a hair mask from the scent to the results. Normally I wash my hair only 2 or 3 times a week, but lately I've been washing it more often because of the summer heat and my gym schedule (sweaty hair - the struggle is real). I've definitely seen a difference from the additional washing over the past couple of weeks. My hair was drier and harder to manage than usual. After just one use of REF.552, it was silkier and less tangled, but what I really love is that it didn't make my hair go flat or feel weighed down. So many hair masks I've tried have made my hair feel so greasy too quickly afterwards or made it loose its volume, but that's not the case here. I simply got what all of us really want - nicer hair. I also love the process of using REF.552. It smells so lovely and leaves my hair smelling amazing all day, something that I always enjoy... Nobody likes stinky hair! The almost elastic texture of the product is lush and I only need a small amount - a little goes a long way. It massages very easily into the hair and rinses out with no problem. 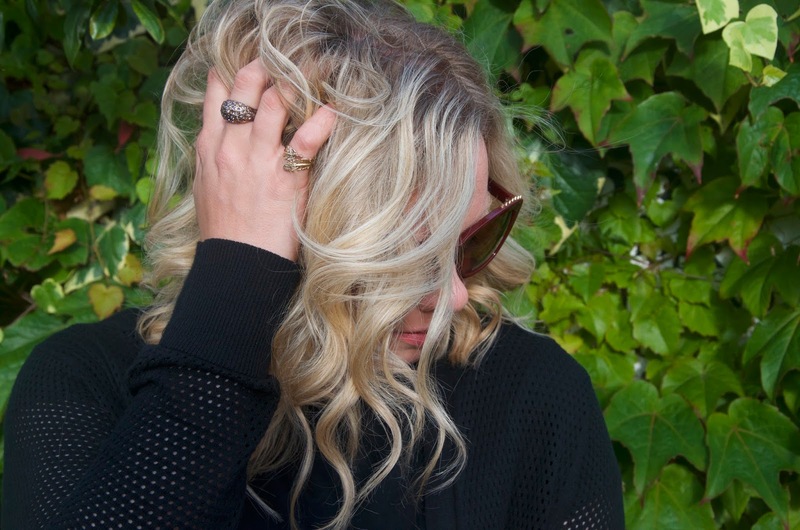 After using it, combing my wet hair is super easy and blow drying is even easier. Reference of Sweden REF.552 Moisture Treatment Mask is £12.95 and available online via www.thegroomingclinic.com.